The section above shows the standard default editor toolbar that is installed with Concrete5. 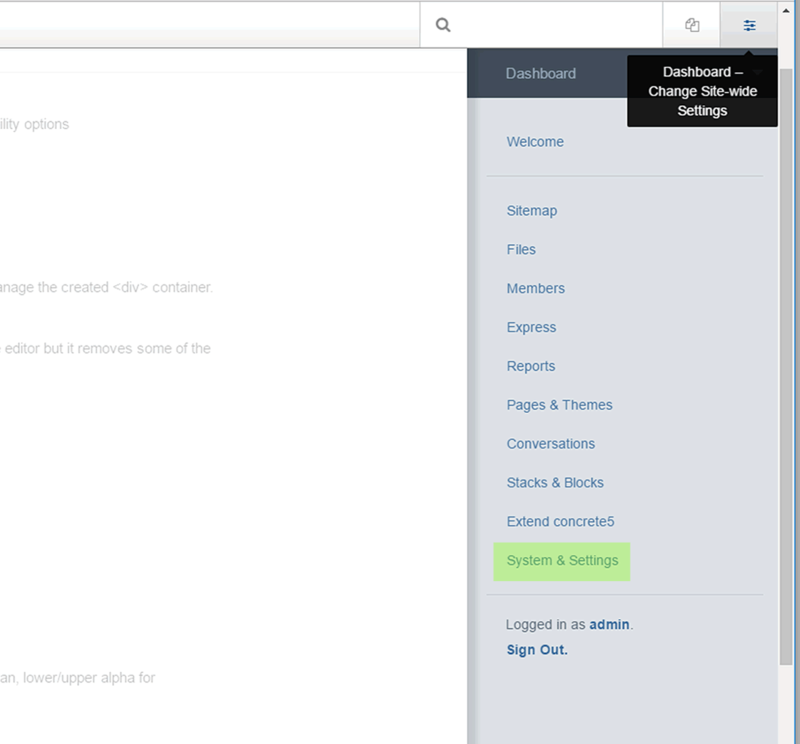 In addition, it is possible to change and add other editing functionalities and behaviours via the dashboard. 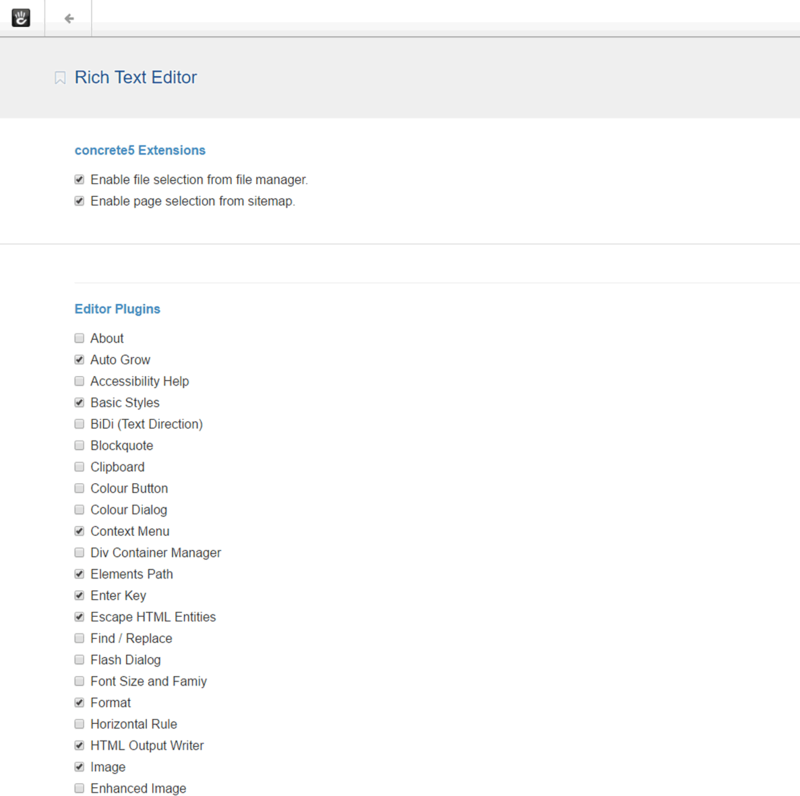 From there we select the 'Rich Text Editor' page in the 'Basics' section. The 'Rich Text Editor' settings page is a list of settings within the editor that either add buttons to the toolbar, new context menus or extra behaviours. Checking or unchecking the box next to any of these and clicking the save button enables or disables them immediately in the rich text editor and the changes will become available on next use. There's quite a large list of these options so we're going to list them below and give some extra information on what they do.